Hey Everyone! I’ve been busy working this weekend, which is unusual for myself! 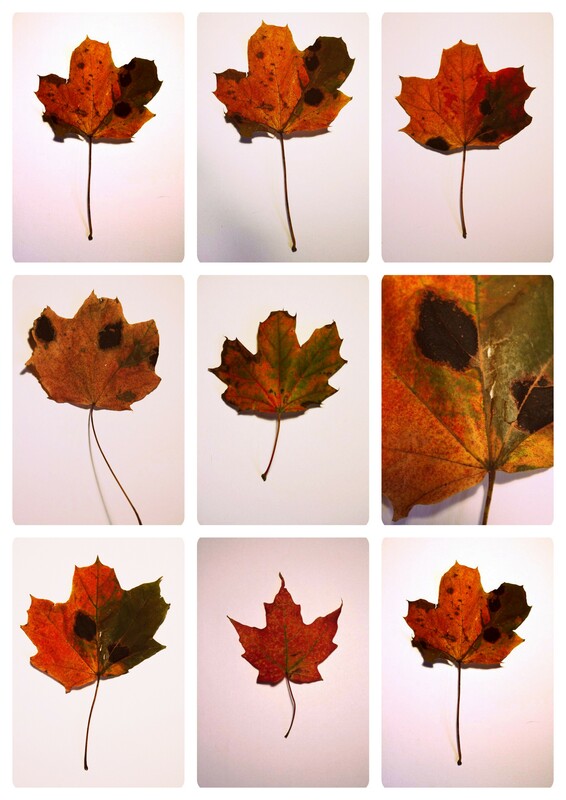 I haven’t had time to go out and take any photos this weekend SO I thought I’d share what I have so far for my dream of a giant leaf collage, AND some pictures from Halloween. 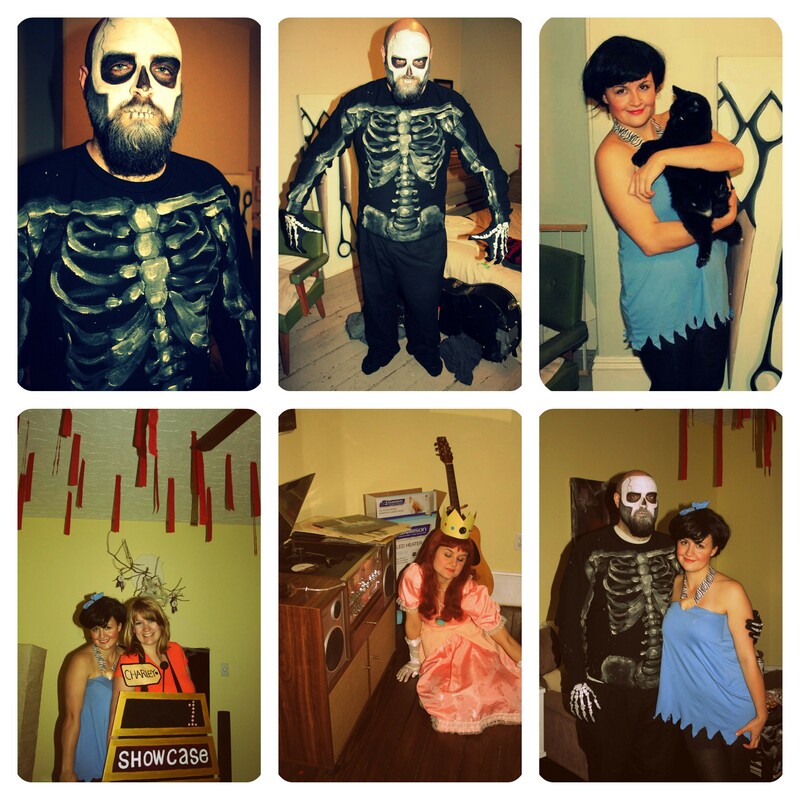 I made both my costume (Betty Rubble) AND Shawn’s costume (Mr. Skeleton)! I love to make costumes and do Halloween makeup! C’est tout! Did you see any super creative costumes this year? Happy Sunny Sunday!! PS-Stay tuned because tomorrow I have a very exciting artist to share with you!